All the fighters slated to participate in tomorrow night’s “UFC on FUEL TV: Franklin vs. Le” event tipped the scale Friday inside CotaiArena in Venetian Macau Resort Hotel in China. 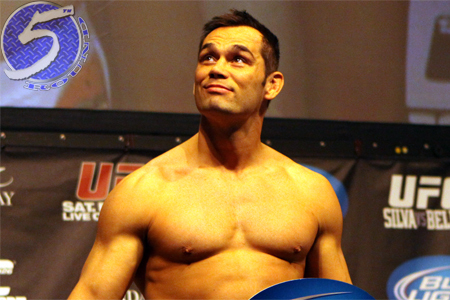 A middleweight shootout between Rich Franklin (Pictured) and Cung Le headlines the show. Light heavyweights Thiago Silva and Stanislav Nedkov serve as the co-main attraction.